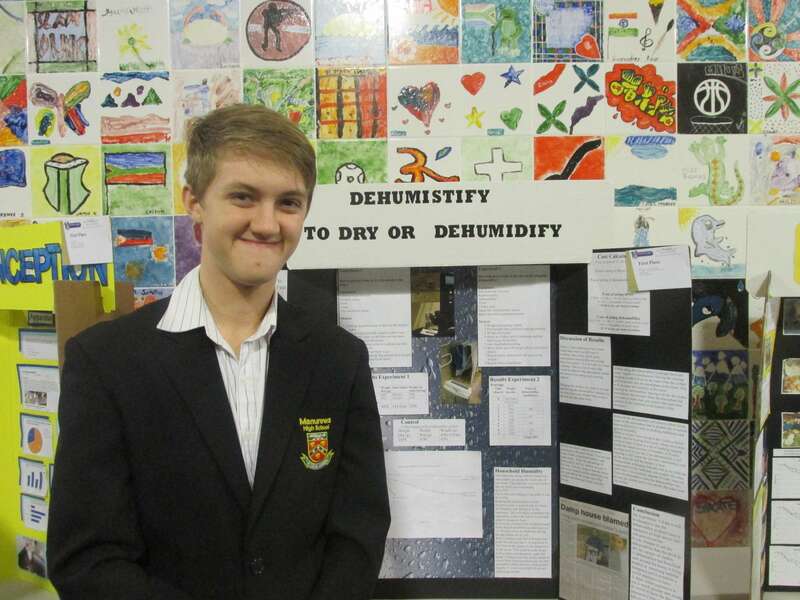 Timothy's investigation titled “Dehumistify – To Dry or Dehumidify?” compared drying clothes using a dryer compared with using a dehumidifier. Timothy worked out which was the cheaper option and discussed other issues associated with drying clothes indoors. Tessa's scientific photos of threatened and endangered zoo animals, titled “Precious Resources – Endangered and Threatened Animals”, was accompanied by an essay explaining why the animals are threatened, and how we can help save them. 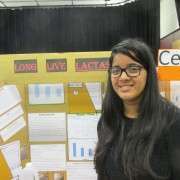 Manisha's “Five fats Fight it Out” investigation compared five different cooking fats from various international cuisines, to determine the most healthy fat in terms of rancidity, how fast they oxidized, melting point, saturation and chain length. She found that clarified butter (ghee) commonly used in India was by far the most healthy to cook with in that it had a very high smoke point and was far less prone to developing free radicals due to rancidity. “Garlic: To Wait or Not!”. 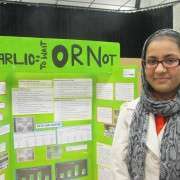 Aimen’s project looked at whether or not crushed garlic ought to be left to ‘sit’ before being added to the cooking pot. 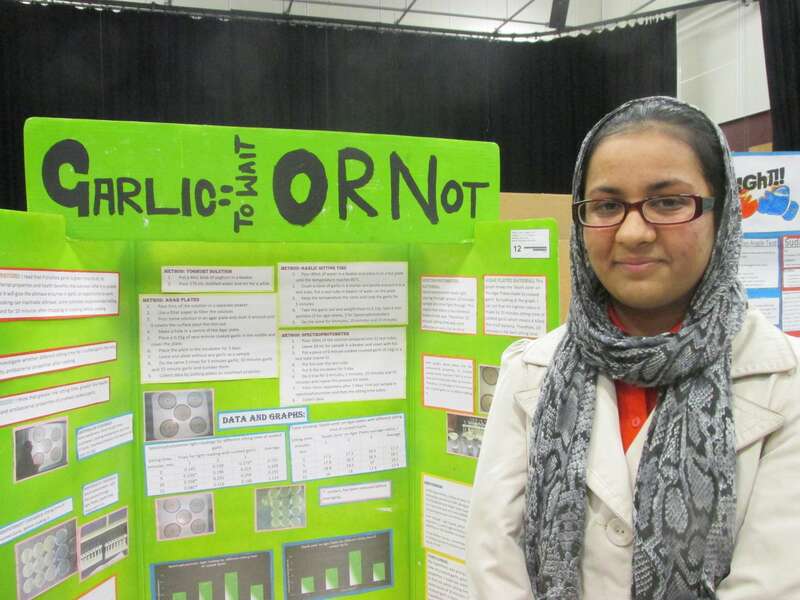 After experimenting with crushed garlic and a range of ‘sitting times’ Aimen found that the ideal wait time before adding garlic to the pot was 10 minutes. At that time the anti-microbial properties of the garlic would peak and hence cooking before or after the ideal sitting time would diminish the efficacy of the anti-microbial compounds in the food. “Long Live Lactase”. 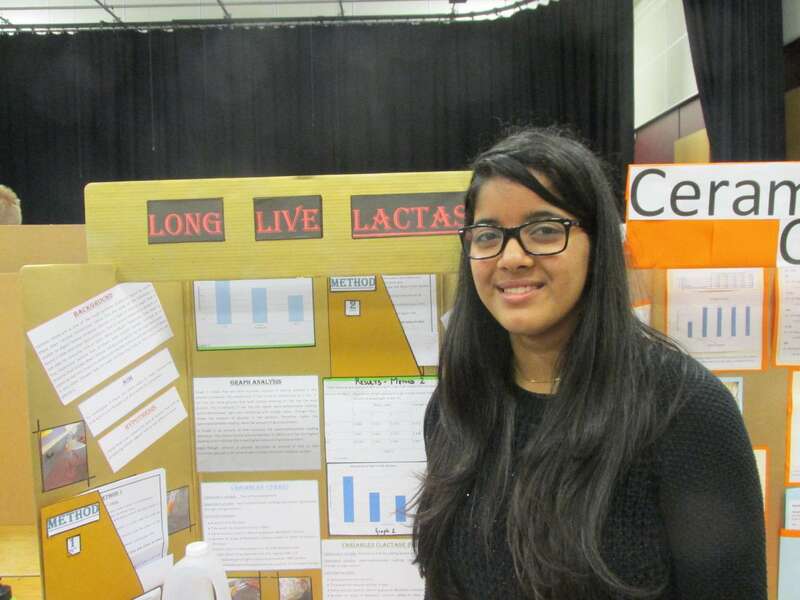 Prabhjot investigated whether regular milk could be made lactose free by buying just 1 litre of lactose free milk. By inoculating regular milk with various volumes of lactose free milk, she found that the active enzyme was still able to function in the regular milk and hence, after 3 days, would turn the milk into lactose free. This would save money for people who need to drink lactose free milk but find it too expensive. Sidrick Salting, Amber ‘Inia and Simran Naicker received Participation certificates. 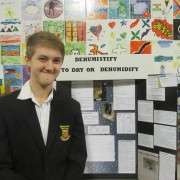 The projects will be on display in our Science cabinet in the Science Hallway.